I made this tasty soup recently, the recipe is from a Guardian feature where you cook a large quantity of a particular ingredient, in this case butter beans, and use it for four different meals. You could easily use tinned butter beans if you prefer. Heat the olive oil in a large saucepan, add the leeks, stir, then cover and cook gently for 5-10 minutes. Add the beans and the water, then bring to the boil. Sprinkle the bouillon powder over the surface, stirring to disperse it, then leave to simmer for about 20 minutes, until the leeks are tender. 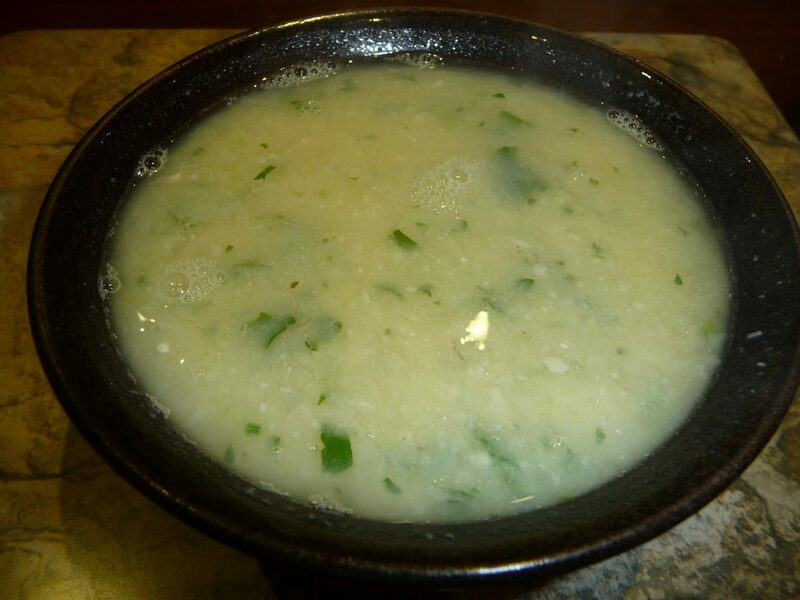 Add the fresh parsley, and blend the soup lightly with a hand blender to just thicken it slightly, but leave some visible pieces of bean and chunks of leek. Check the seasoning and serve. Standard box members also have the first of this season’s aubergines and green peppers. This is from Jamie Oliver’s second book, the Return of the Naked Chef. 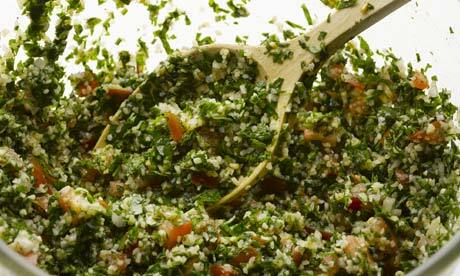 Place the couscous in a bowl with the cold water. This will start to soften the couscous and you will see the water disappear as it soaks in. While the couscous is softening, blacken the peppers. Either place the peppers directly on to the naked flame of a gas hob or blacken under the grill. Both ways you need to blacken the peppers on all sides, so turn when need be. When fully blackened cover in a bowl for 5 minutes until cool. This will steam the skins and make peeling and deseeding easier. Remove the skins and seeds and roughly chop. On a very hot ridged grill pan, lightly char the asparagus and courgettes on both sides then toss them into the bowl with the couscous with the peppers, spring onions, chillies and ripped up herbs. Mix well. Make a dressing with the olive oil and lemon juice, add and toss well. Season to taste with salt and freshly ground black pepper and a couple of dribbles of red wine vinegar for a slight twang. We can expect to find some tomatoes and a cauliflower among the contents of this week’s veg boxes. 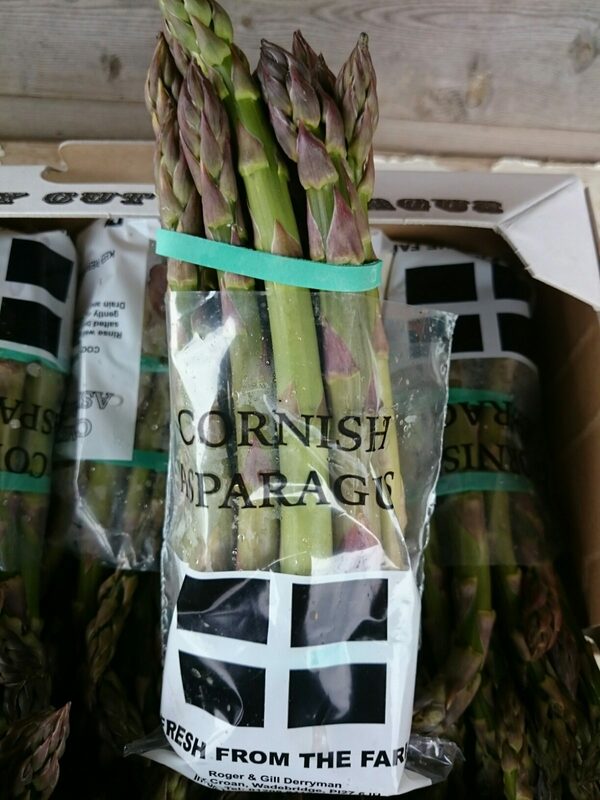 These vegetables come from Richard Hore, our new supplier at Rest Harrow, Trebetherick (between Daymer Bay and Rock). They’re not grown to organic principles, but are freshly picked and have clocked up few food miles – barely five in fact. The potatoes and onions are our own contribution to the harvest. 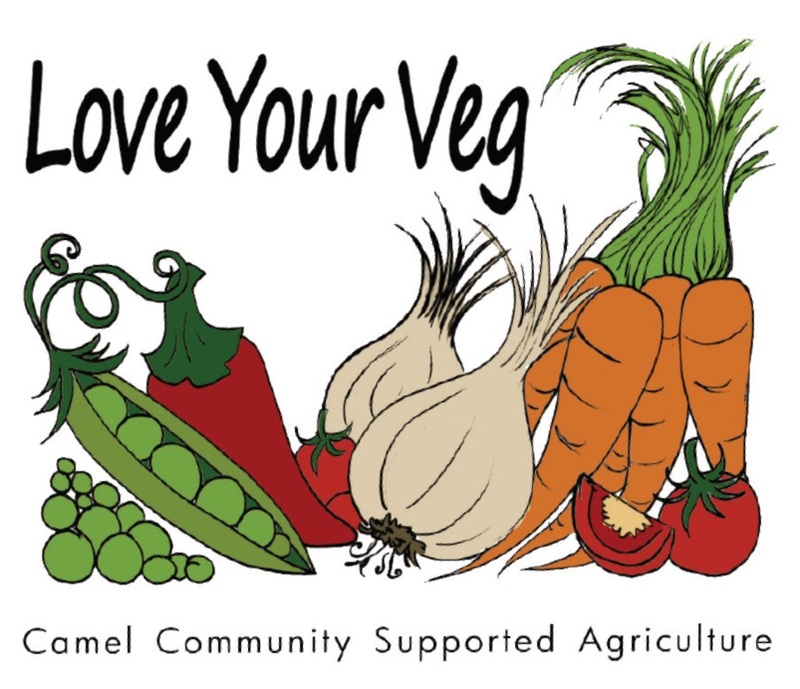 They’ve been grown by our volunteers on Camel Community Supported Agriculture’s two-acre plot at St Kew Highway. Our expert growers are providing the rest of the box contents. Salad bags – Jane Mellowship, cucumber and curly parsley – Jeremy Brown, celery – Mark Norman. 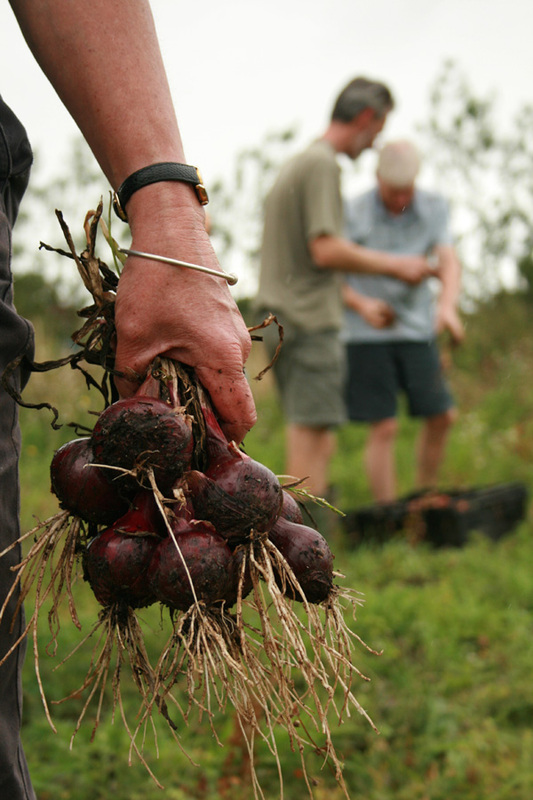 We are enjoying some more of our recently-harvested onions in Camel Community Supported Agriculture’s veg boxes this week. 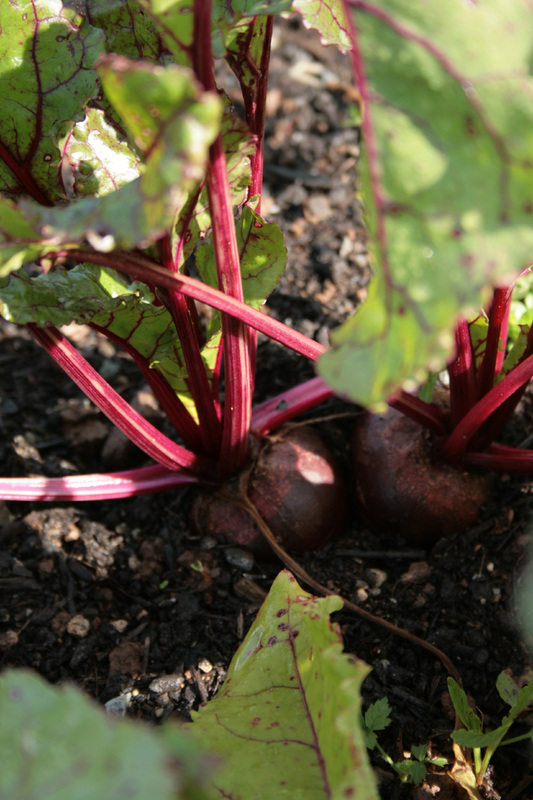 The Swiss chard, beetroot and potatoes also come from our own plot at St Kew Highway. 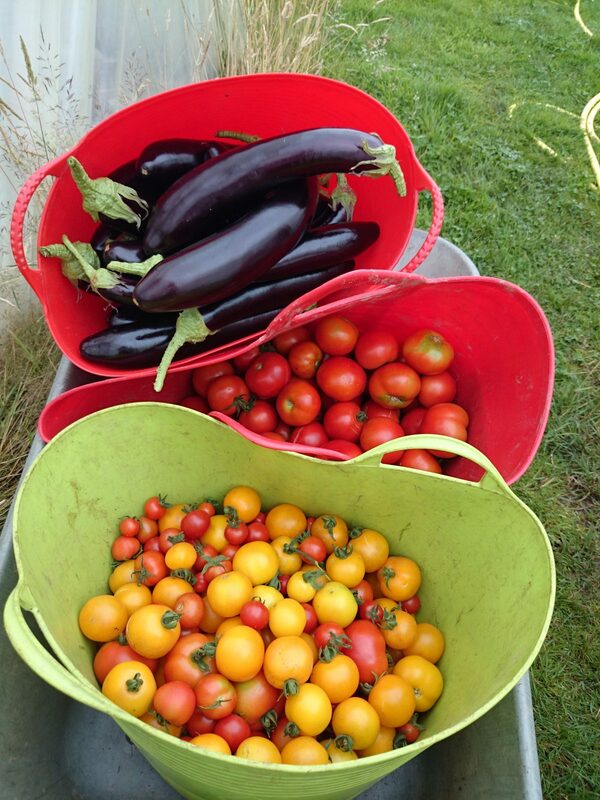 Our expert growers have provided most of the rest of the vegetables. Jeremy Brown cultivated some of the cucumbers and the flat-leaved parsley. Jane Mellowship supplied the salad packs. Mark Norman grew the courgettes and the remaining cucumbers, which feature in our Recipe No 7 – Cucumber raita. We have a new local supplier – Polmorla Market Garden, Wadebridge – which provided the freshly-picked runner beans. Unlike the rest of the box contents, these are not grown organically. 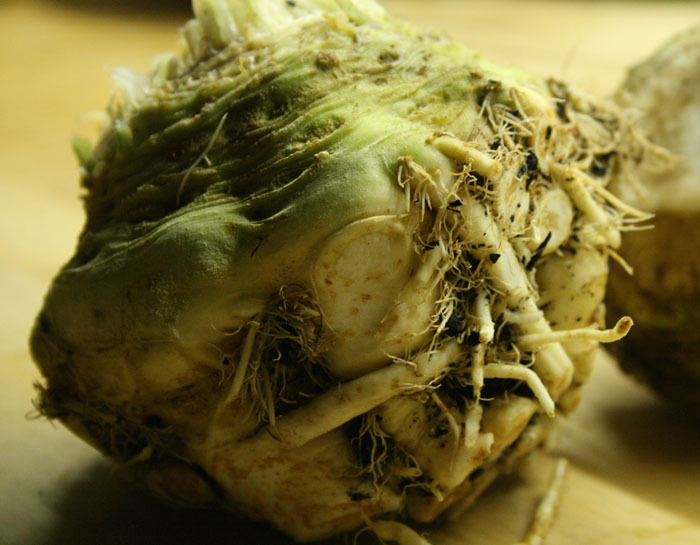 The boxes also contain bunches of celeriac leaves, picked in ignorance as they were mistaken for mature flat-leaved parsley. 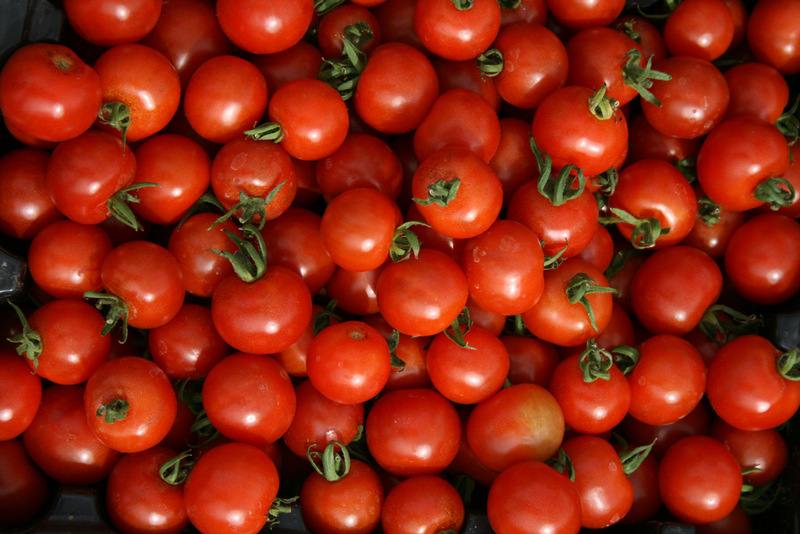 These could be used as a garnish on salads or soup. However they are rather coarse and have a distinctive, strong flavour. It emerges that I may have caused irrevocable damage to our celeriac crop as a result of this inadvertent act of horticultural vandalism. This is one of the downsides of relying on enthusiastic amateurs like me. A quick and easy recipe from Patience Gray’s Honey from a Weed. Tasty too! Wash, dry and dice the courgettes and chop the onion. 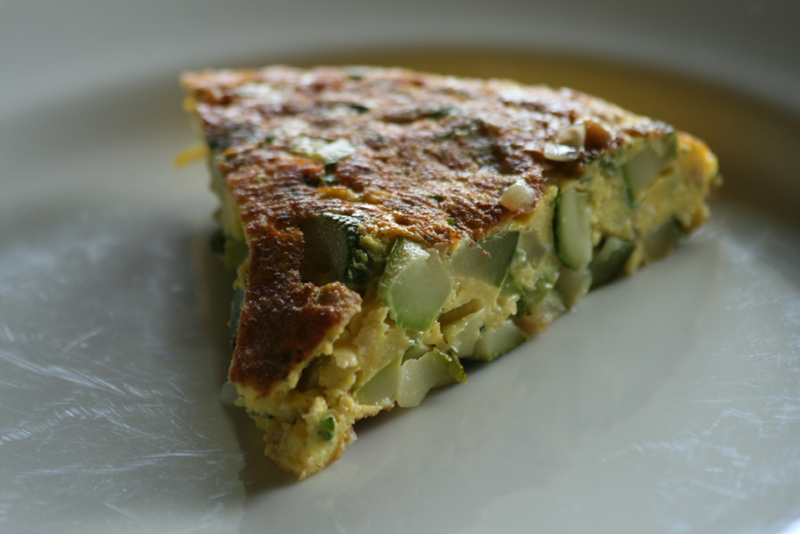 Pour a little olive oil into an omelette pan, and fry the courgettes and onion on a quick fire until they brown, tossing them often, adding a minimum of salt. Beat the eggs in a bowl with a little salt, pepper, some finely chopped parsley, and add the pane grattugiato and the grated parmesan. Pour the egg mixture over the browned contents of the pan and reduce the heat. When the frittata is almost set, take a large plate, lid or board, cover the pan with it and reverse the frittata on to it. Then slide it back into the pan. Both sides should be brown. Serve at once, or let it cool and eat it on a picnic. You can make a quantity of pane grattugiato (a good way of using up odd bits of bread) and it will keep well in a jam jar. 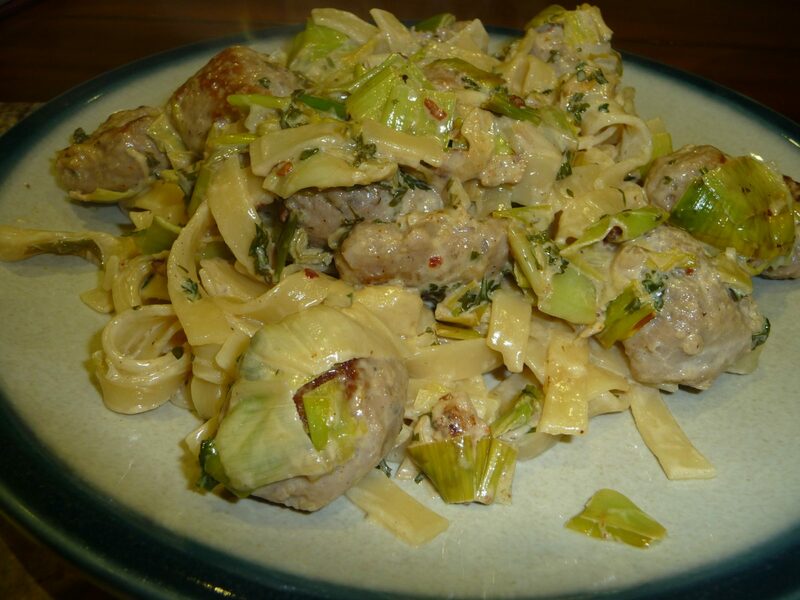 Have a look at these recipe suggestions on the eat the seasons website. If you’ve got a favourite courgette recipe you’d like to share with the rest of us, please insert it as a comment on this post.